Max Joined Hanover Property Company as Project Manager in 2017. His role includes the management, entitlement, design and construction of single family lots for new and existing projects. This includes working with design consultants, municipalities, contractors, builders and all stakeholders to deliver lots for Hanover Property’s communities throughout the D/FW Metroplex. Max began his real estate career in Dallas after graduating from Texas A&M University. He began working in commercial retail leasing and tenant representation for United Commercial Realty, and later Staubach Retail and Cypress Equities. After years of working in real estate brokerage, and a desire to gain a more technical understanding of real estate development, Max returned to school for his master’s degree. Max returned to Texas A&M University earning a Master of Land & Property Development degree from the school of Architecture and Urban Planning. This program focused on the practical, technical side of land development, as well as the legal, political and financial aspect through classes at Texas A&M’s May’s Business School. 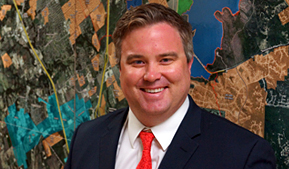 After graduation, Max moved to Austin, TX to work as a land development manager for Brookfield Residential Properties. There he oversaw the development and delivery of 800+ single family lots and commercial property along with the accompanying infrastructure and amenities. He also led the project team for the conceptualization of new master planned communities for in house and third party home builders. Max was born and raised in Dallas, TX and graduated from Jesuit College Preparatory High School. Max is happy to be back living in his hometown and currently resides in Dallas.